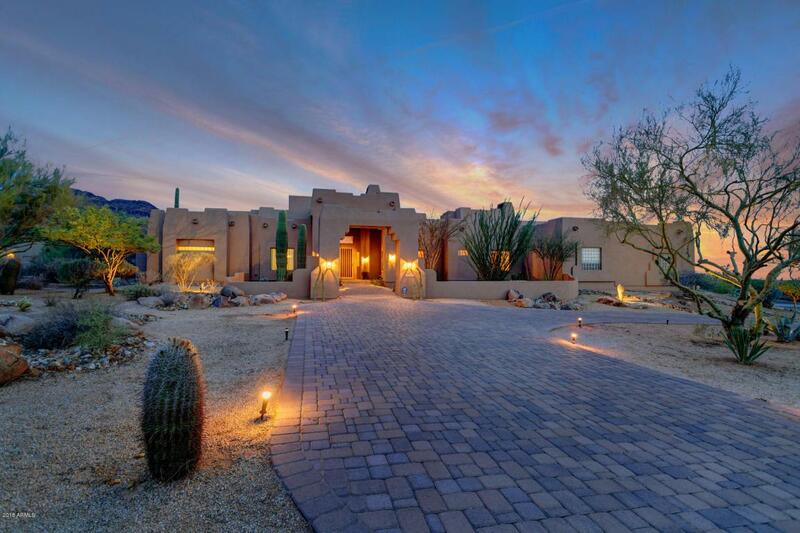 Spectacular views on 1 acre in Scottsdale with custom territorial home that checks all of the boxes! 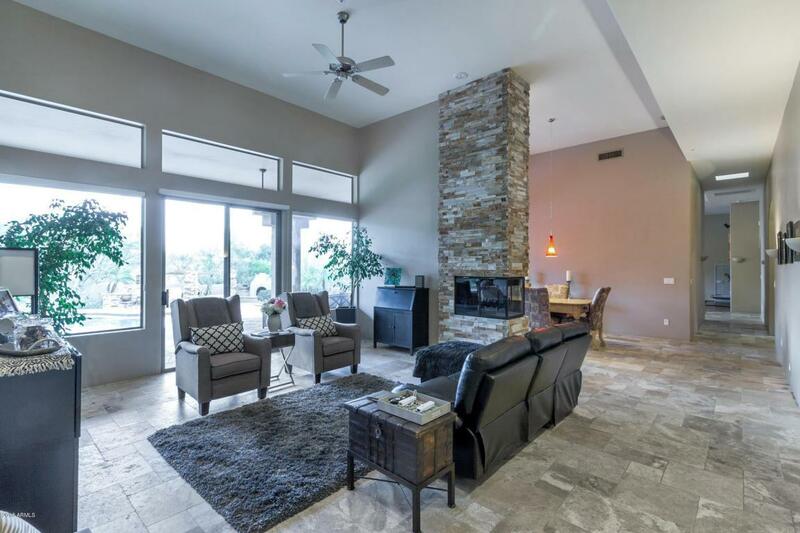 Enter foyer to formal living room with soaring 12 foot ceilings throughout living spaces and master suite. A chef's kitchen complete with 2 islands, Wolf, Bosch, Sub Zero & Miele appliances. Neutral color palette with striking bamboo & travertine floors. 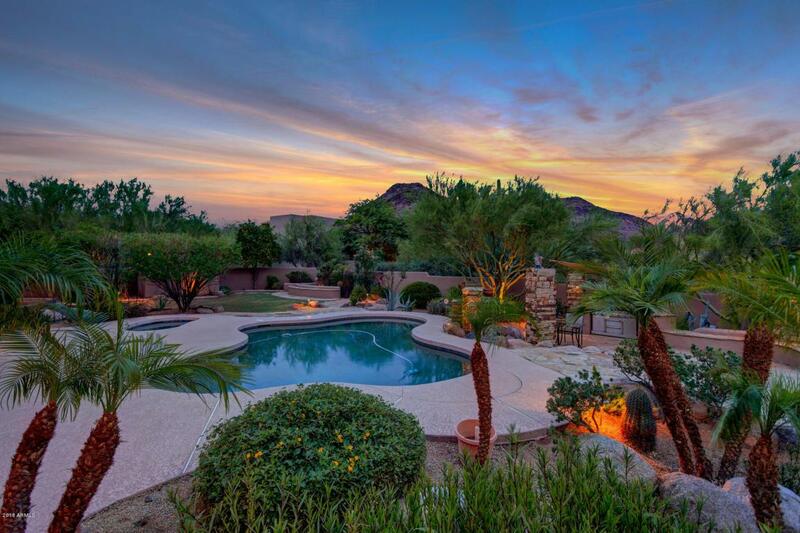 The backyard is paradise with a pool, spa, water feature, endless views, huge covered patio with flagstone, built-in BBQ, 2 fireplaces including one upstairs on the incredible view deck! You'll never want to come down...New interior & exterior painting, new roof coating with warranty. 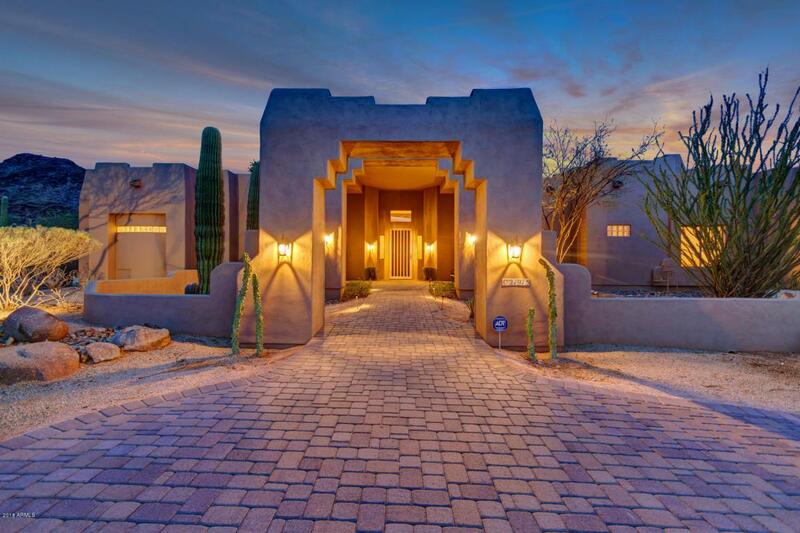 Tremendous value in an amazing location with low HOA fees, easy access to the 101 & all that North Scottsdale has to offer! Schedule your showing today.